People use scouting cameras for different uses and not everyone requires the latest, most advanced models. This is why there is still a booming market for affordably priced options such as the Stealth Cam STC-P12. 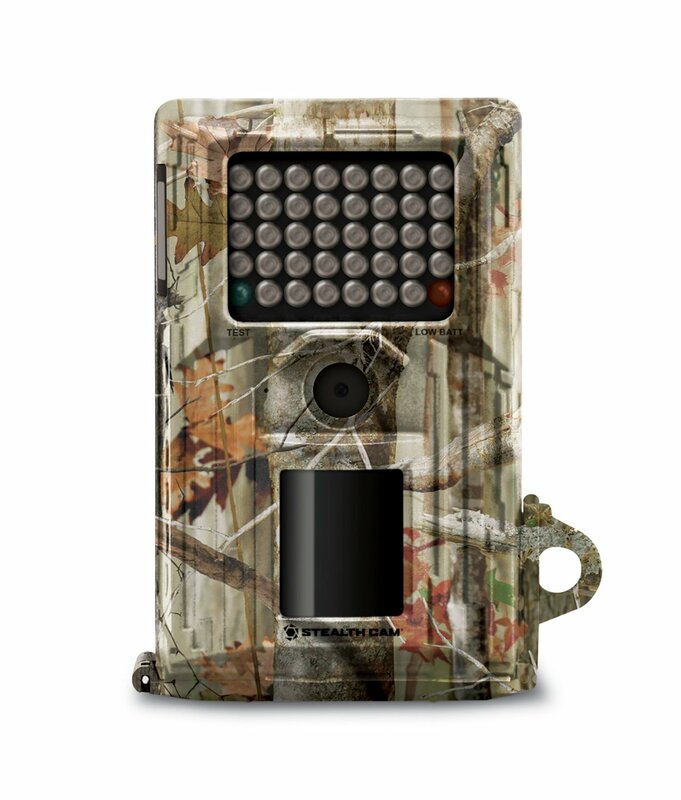 While it doesn’t have the same state of the art features as the top range scouting cameras it comes with all the basics and is very easy to operate. 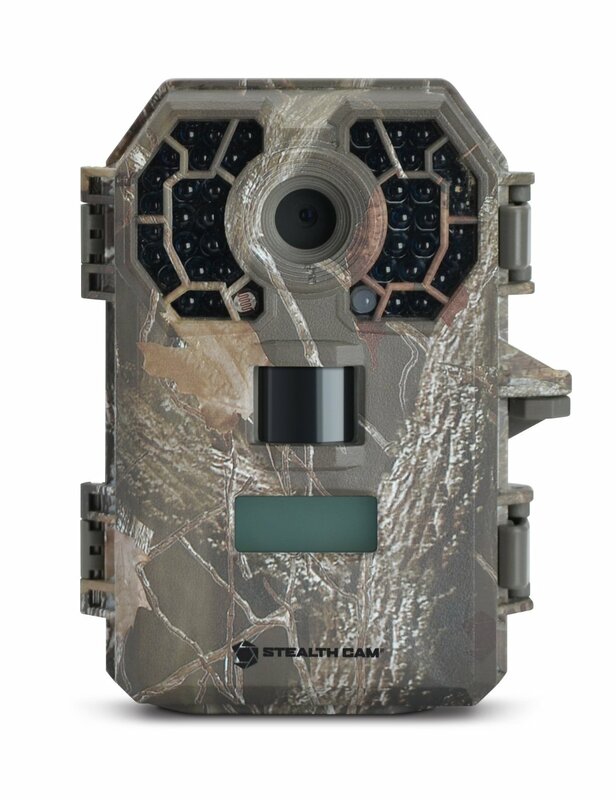 Stealth Cam is a relative newcomer to the field compared to some of their more established competitors which means that they have to work a lot harder to get some attention. The price on the STC-P12 definitely got my attention, but let’s see if there is more to it than that. The STC-P12 is designed to be compact enough that you can take a couple of them out in the field with you to place without getting weighed down. The unit that I tested had a grey case and when placed on an appropriately colored tree blended in quite well. The case feels quite durable and the controls are tucked in safe inside the case unlike the STC-E38NXT. Personally I prefer this design as it means there is less chance of anyone tampering with your settings when you put the camera up on public property. The LCD is still visible from the outside when the case is closed. I left the STC-E38NXT during some light rain and it didn’t suffer any ill-effects, but you’ll will probably want to avoid getting the unit submerged. As the case is compatible with the Python cable lock you can be sure that it will remain very you mounted it if you use one of these. Inside the durable casing you’ll find three buttons and one dial with which to program the camera. The dial is quite unique and makes it very easy to change the camera settings. You can simply turn the dial to choose between three preprogrammed settings or use the buttons to program your own custom setting. The STC-E38NXT uses affordable and easy to find AA batteries and you will need 8 of them to power this device. Changing the batteries is a breeze and the camera actually provides a pretty decent battery life. Weather conditions will obviously play a role in how long the batteries last, but on average you should be able to squeeze out at least three months from a single set. Images are stored on a SD card and the STC-E38NXT is able to accommodate one of up to 32 GB. Like most decent digital scouting cameras you will also find a USB output and jack for an external 12V power source tucked away. The STC-E38NXT features a 6 Megapixel camera, which while fairly decent, shows its age when compared to newer 8- and 10 Megapixel models. The camera can also be set to take photos 4 Megapixel as well as 2 Megapixel if you value space more than image quality. 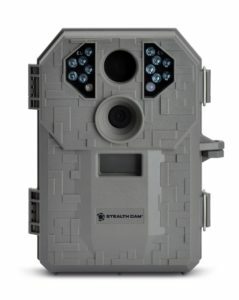 In addition to taking photos this camera can also record videos, but you are limited to a maximum of 15 second per clip and there isn’t any sound. Using the dial you can set the camera to take 3 images per trigger, one image per trigger or a ten second video clip. In case you find the preset options too restrictive, simply switch the dial to “Custom” and then program your own settings. When used in rapid fire burst mode the camera is able to take up to six photos after it is triggered. Images can be stamped with the time, date and moon phase, but unfortunately not the temperate as on some other models. The STC-E38NXT packs 12 IR emitters which provides it with an effective range of about 50 feet. The trigger is a little slower than what I am used to, but by setting multiple images per trigger and angling the camera correctly I was able to get some decent photos. The night time images were a little blurry for my liking, but this could just be because I am used to higher quality cameras that also cost a lot more than the STC-E38NXT. There is plenty to like about the STC-E38NXT, especially for its price, but it does have a couple of factors counting against it. For an entry level, affordable scouting camera it gets the job done, but anyone demanding more from it might be better off spending a bit more cash for a camera with more advanced features. Take a look at the pros and cons below to see for yourself if it has what you need. There are plenty of digital scouting cameras available that can take clearer pictures or boast a larger range, but thanks to the low price tag the STC-E38NXT is still worth a look if your budget can’t stretch very far. If you plan on taking lots of nighttime photos you might want to look elsewhere as the performance of the STC-E38NXT in low light conditions leave a lot to be desired. If however all you want is a cheap camera for taking decent daytime photos you will appreciate what the STC-E38NXT has to offer.